The last week of January/ first week of February every year in Memphis, Downtown Memphis is transformed into a Blues lovers’ paradise. There are somewhere around 200 blues artists and bands from all the world who make the trek to Memphis every year for the International Blues Challenge. It has evolved into probably the largest culmination of Blues musicians in the world, and I have had the honor of having a husband who was in it for the past two years. 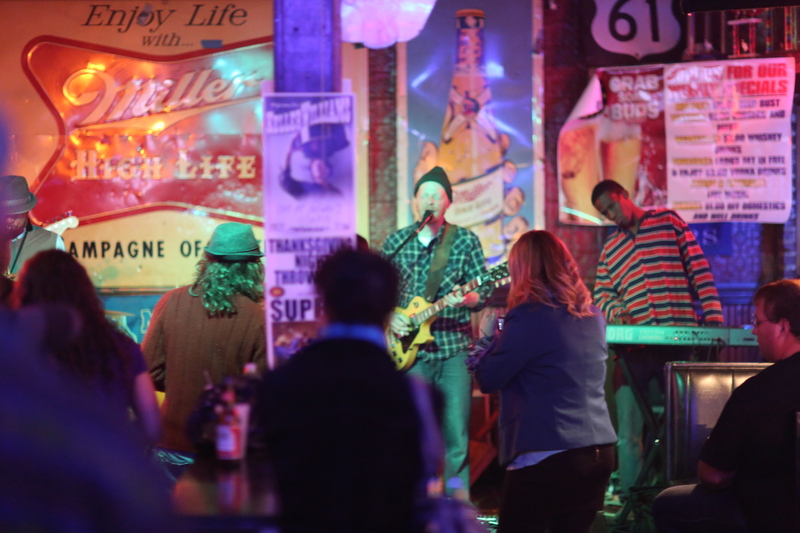 This year, the competition to see who would represent the hometown Memphis Blues Society at the IBC this year saw a few different faces. At the last minute, Suavo Jones (trombonist) and my husband, Jeremy, were asked to play in the competition with the Ghost Town Blues Band. This was the band that came in second to the band Jeremy and Suavo played with the past two years in the competition. They were most definitely a crowd favorite, but they ended up losing by a fraction of a point. Sadly, we thought we would not participating in the 2013 IBC. A week or so later, Matt Isbell, lead singer for GTBB, texted us to let us know that GTBB would, in fact, be representing Rosedale, MS in the 2013 IBC. The decision was made to turn the 3 piece Ghost Town Blues Band into a 6 piece (two horns and a keyboard added to the trio), and the guys have been the Ghost Town Explosion ever since. So, the 2013 IBC is around the corner now, and I am getting very excited about seeing this band perform in the competition. I think they have a great energy and spirit. They are true musicians in their bones. They were born with music pumping through their bones. I feel truly blessed to be able to spend so much time and be so involved with all of these guys. They make my night every time I hear them play. Booker T. and the M.G.